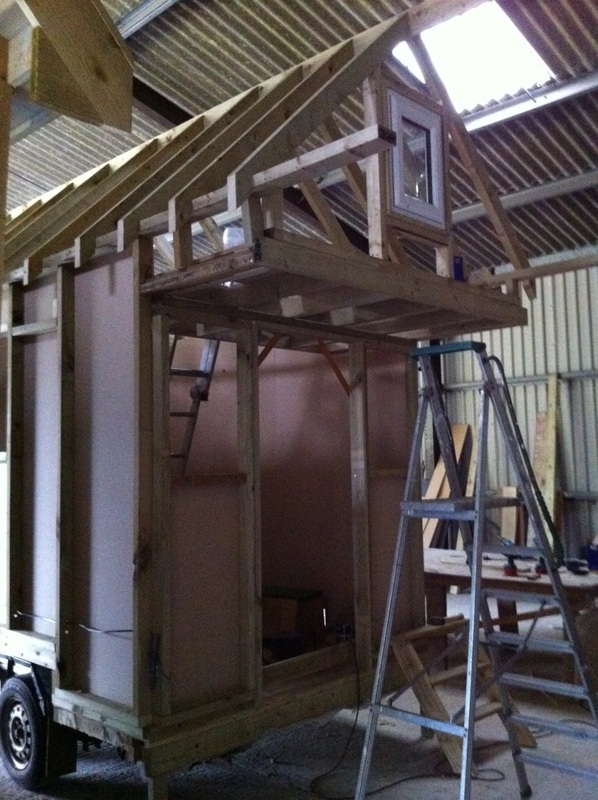 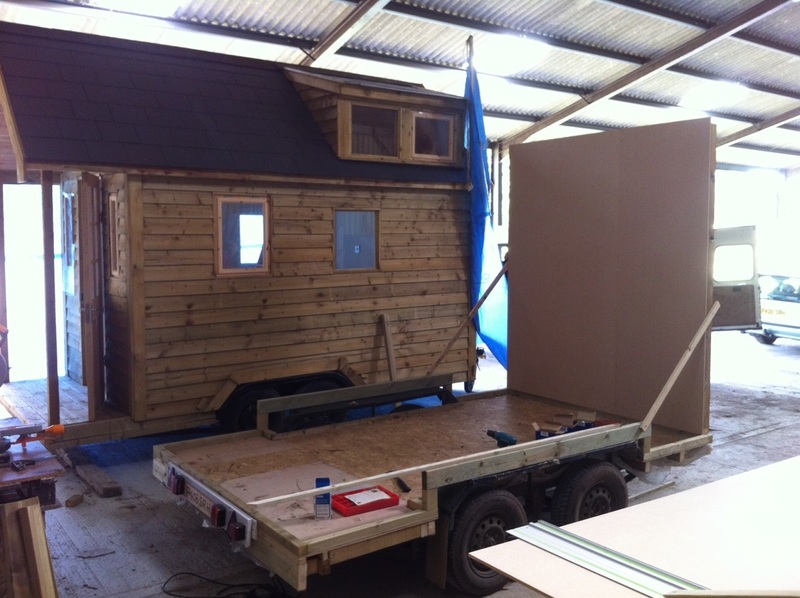 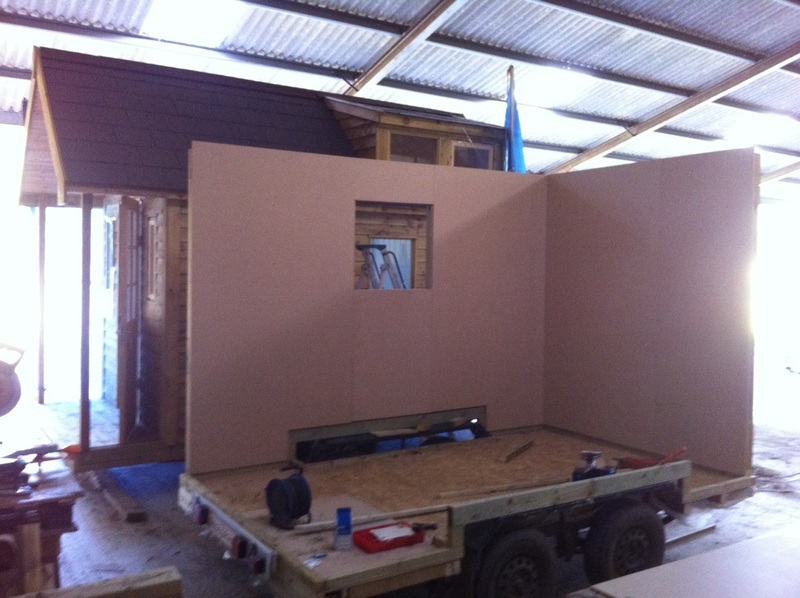 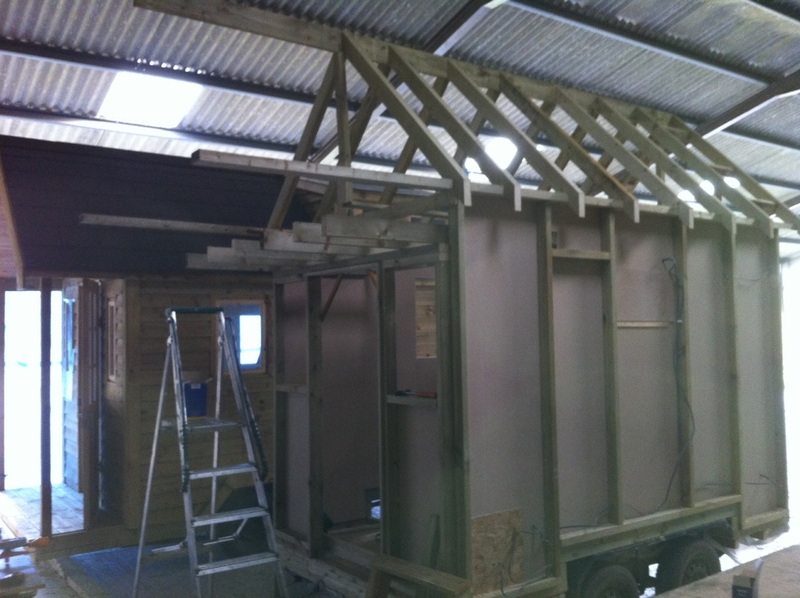 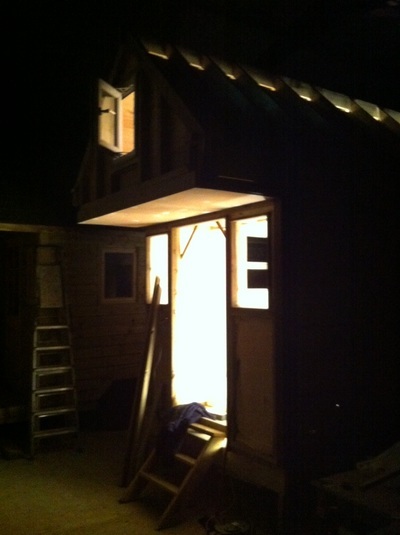 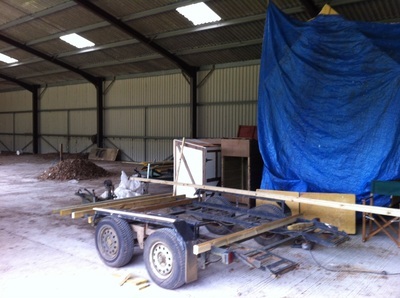 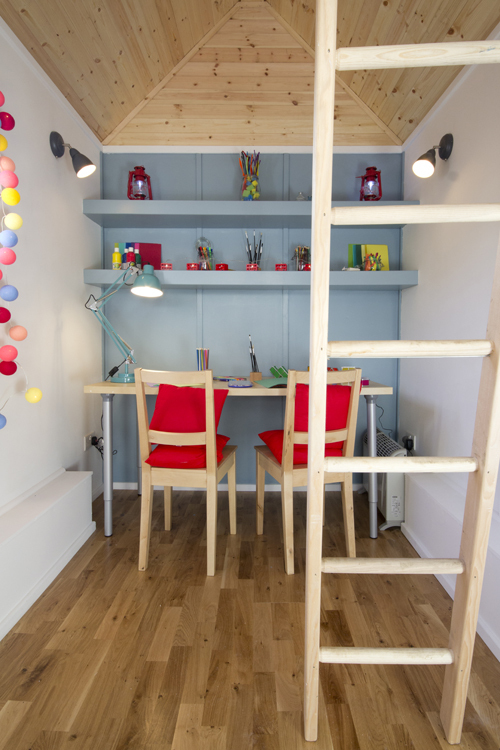 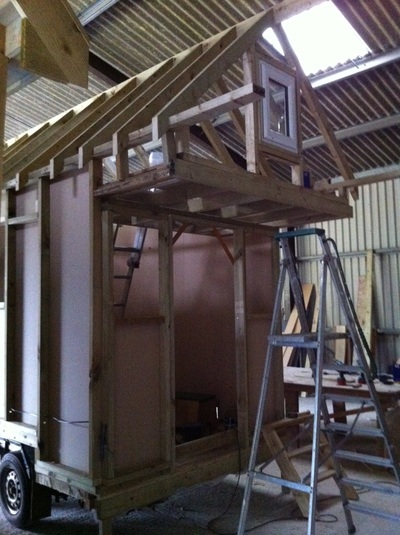 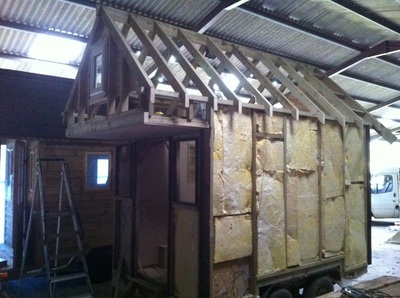 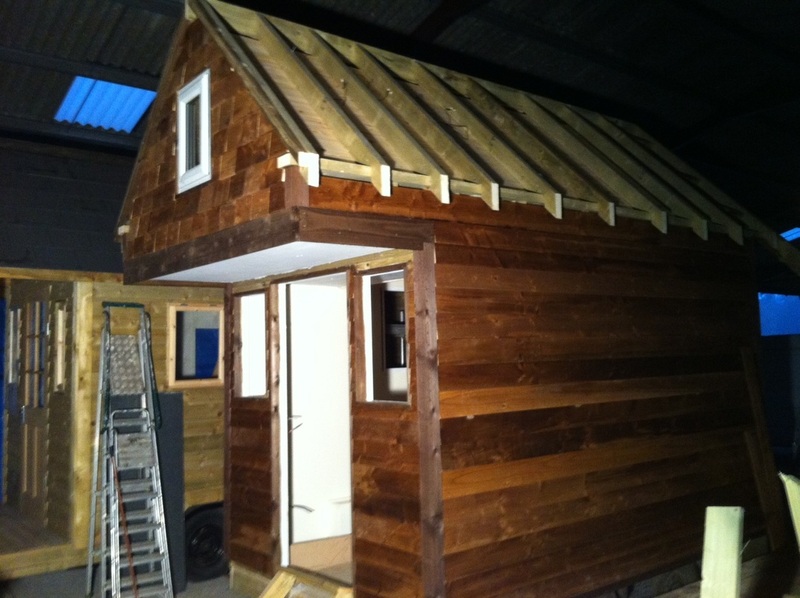 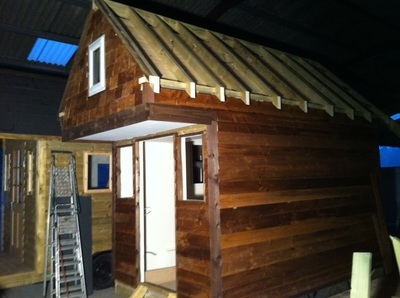 Very much a rush job, we had 10 days (and nights) to build this Tiny House on wheels for 8 year old Harry. 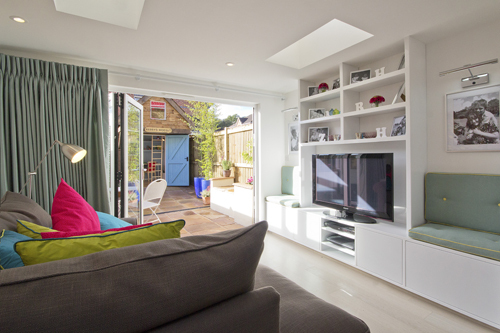 A place where he can hang out with his mates as before he was having to share a room with his 2 other younger brothers. 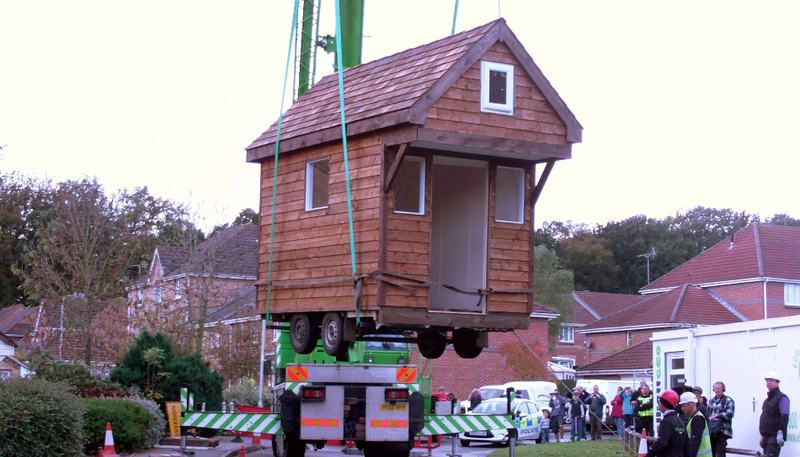 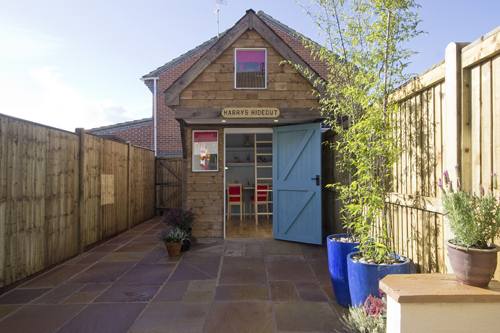 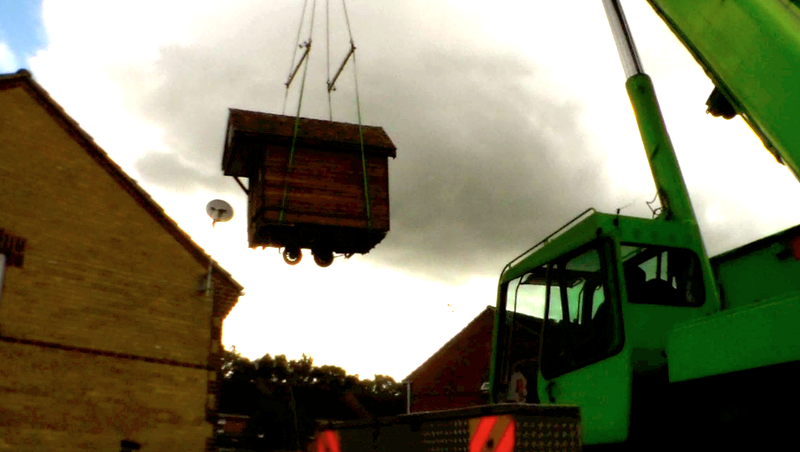 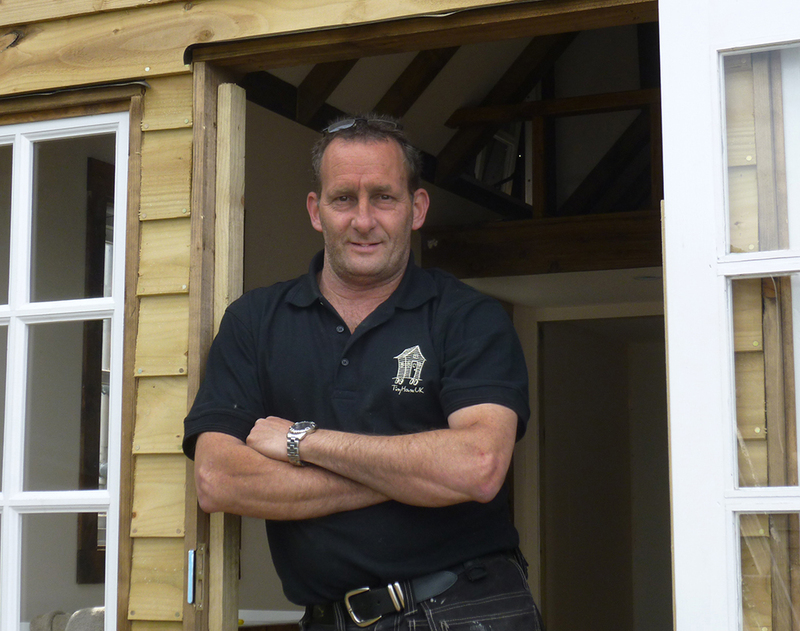 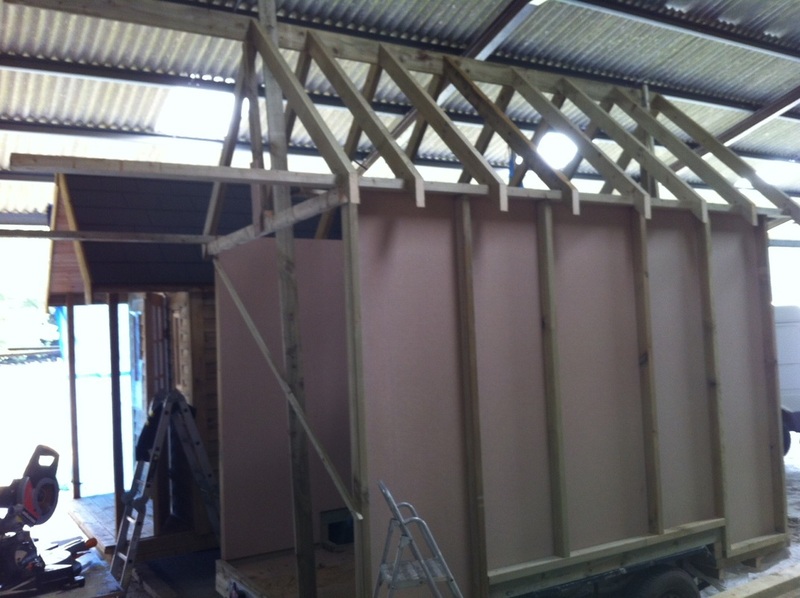 The Tiny House had to be craned over the house to get it into the garden. 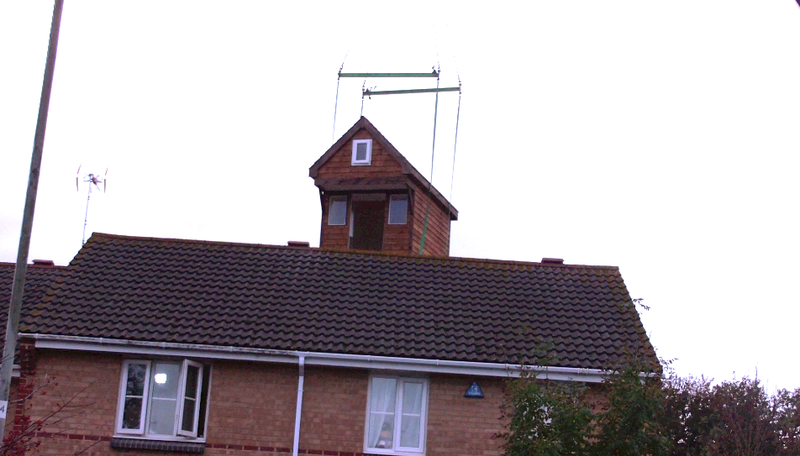 It made great TV! 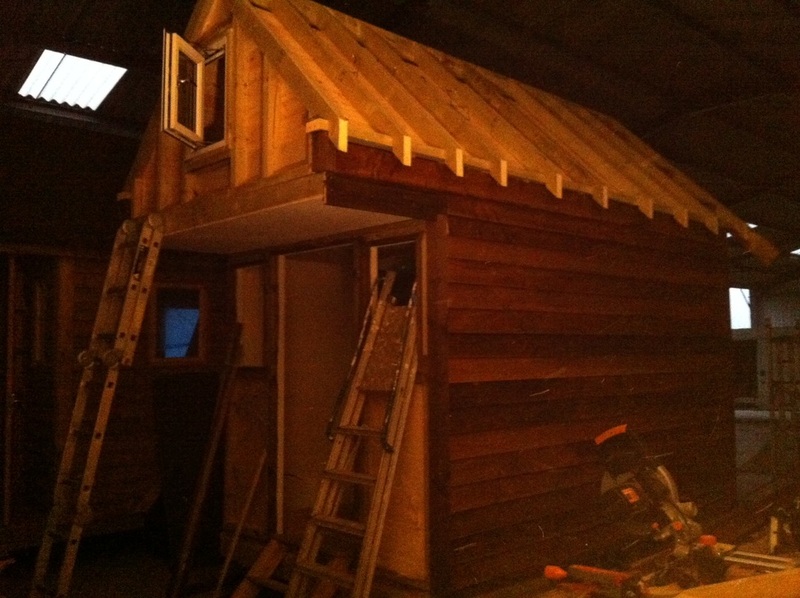 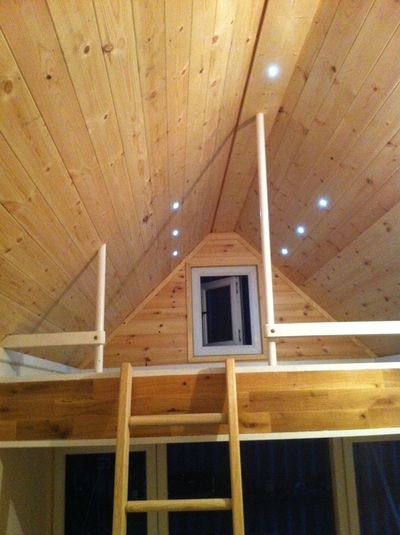 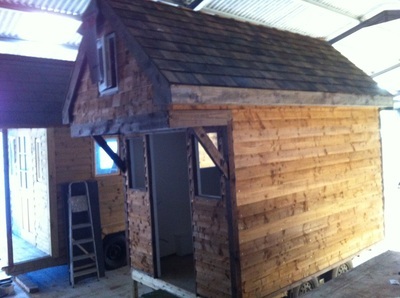 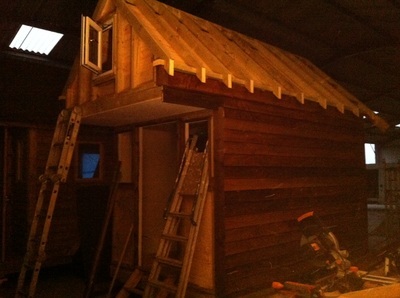 The small cabin was 12 ft long x 5 ft wide and had a sleeping area above the door. 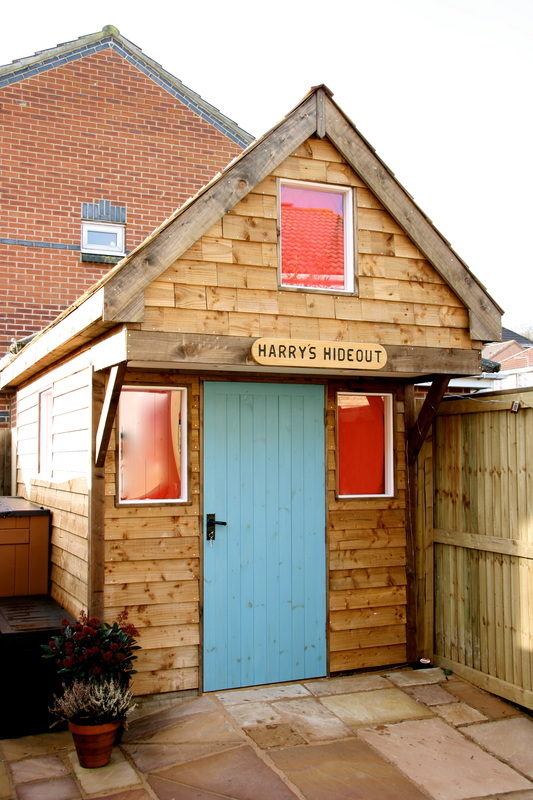 It was fully insulated so Harry could make good use of it all year round. 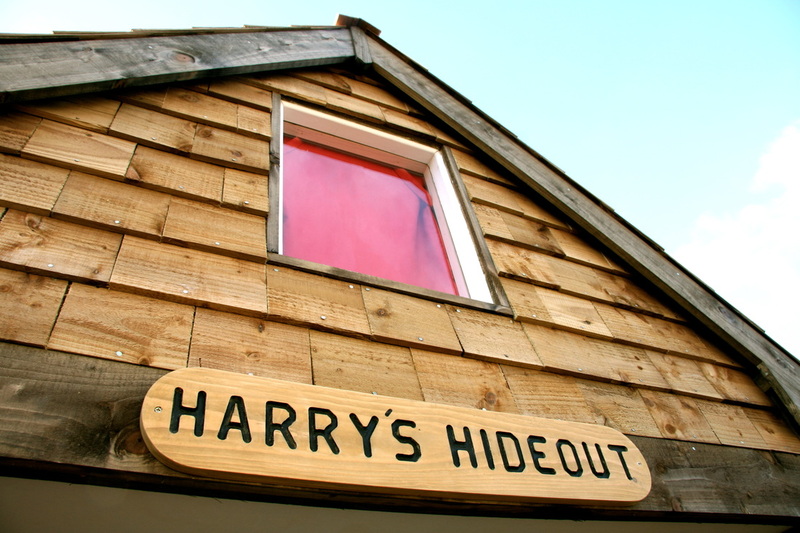 The Tiny House proved to be a great success and Harry had a short list of buddies wanting to stay for a sleepover. 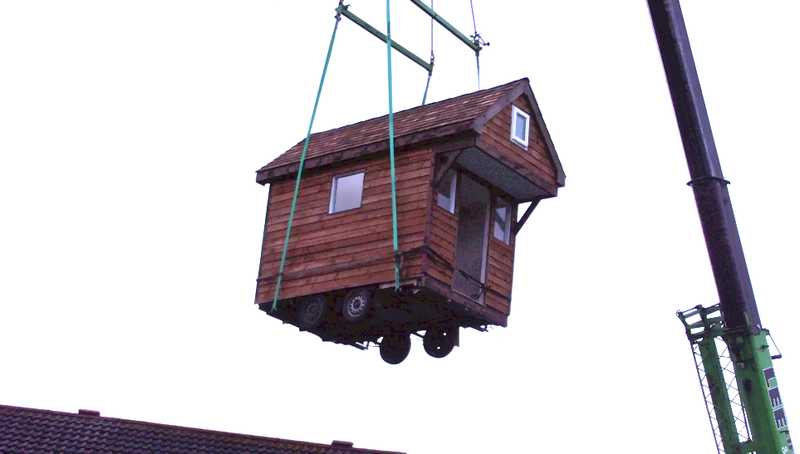 See below for the video links.